With the growth of my podcast and my business, I have come to this point where I really want to make sure I can be myself. I want to let that guard down and be who I am without fear of what people will think or say about me! It's easy to accidentally misunderstand somebody and think of them as a perfect being with all these beautiful photos on Instagram. And recently, I've been feeling a lot more comfortable with being vulnerable and it's making me more authentic, which I hope is making you guys feel more connected to me. I hope this episode just breaks it down and makes me real. I'm here with you. My kids are young. I'm still figuring this out. I'm just always reworking things and trying to be the best version of myself so that I can help you guys and connect with you. I don't want to just teach you things and make you think I'm perfect, my family has it all together, and I have it all figured it. Because that is not true! And so, cheers to a lot more connectivity, a lot more honesty, a lot more fun social media posts, fun podcast episodes that are still super helpful, but help you see me as human. The standard and pressure she faces because of her message and what she teaches. How guilty she feels for being exhausted at times when it comes to her business and having to turn things down. Why she chooses to delegate certain responsibilities in her home and business to other people. The reality of mom guilt and having to push through not wanting to do things with your kids. 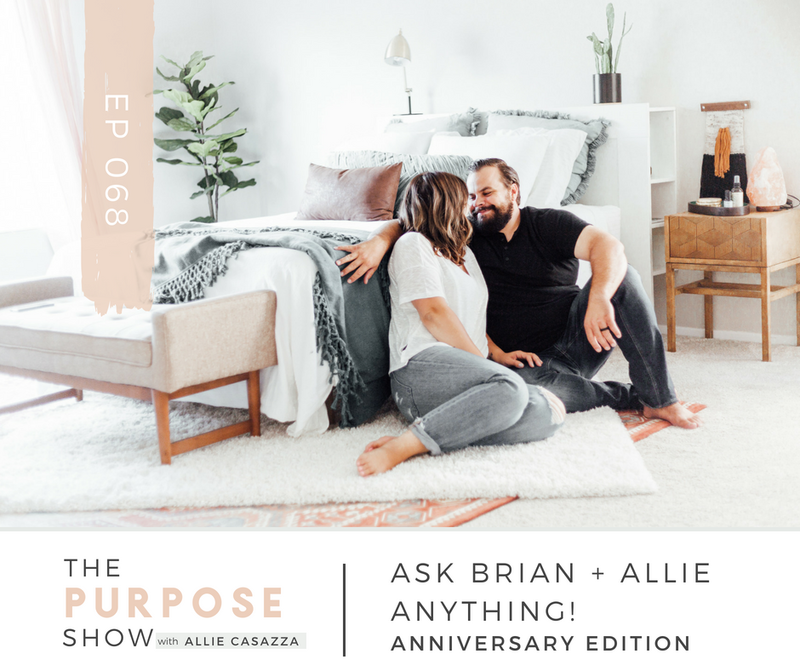 If you feel like your house is just always out of control, it's totally crazy and you'd love to take some of the advice I give here on The Purpose Show, and my blog, but you just kind of feel like you're so frozen and overwhelmed, you can't even. I created a new challenge. It's called the 10:10 challenge. It's super, super simplified. This whole thing is 10 minutes a day every day for 10 days. It’s going to build a happier mom and a happier home for your family. i want the free 10:10 challenge! Hey, beautiful listeners! Welcome to another episode of The Purpose Show. I'm so glad that you're here! I don't know how you found me - if you've been here from the get-go or if somebody shared this with you or you found it randomly, but I do believe you're here listening for a reason and whatever that reason is, I'm just really, really glad to have you and I want you to know that. This episode could be really fun for you guys. I am getting vulnerable and messy today in this episode and I'm sharing 5 super honest things that I'm afraid to share with you. So, let me preface this episode with something. I'm not really a person who reacts or acts out of fear at all. I am kind of a risk taker. I think that's one thing that makes me a good entrepreneur. I don't typically care what other people think. It can be a strength and also a weakness in that I can come off as insensitive sometimes. I just don't tend to kind of worry and act a certain way, just in case, because I don't want to be perceived as something. I just tend to not really live my life that way. But recently, just with a lot of the success and growth that's come my way, I've been kind of freaked out by just larger numbers, more people and that always leads to more comments and messages. It's not all negative. It's not that people are messaging me terrible things or anything. I mean, sure, that happens every once in a while and that's just part of the job, but it's more so that the questions that come in kind of have undertones of expectations for me. And a lot of the time the question is something that I either don't really think about. I'm very, very much not a Type A person. I don't overthink. I don't plan everything. Routine and structure is something I've had to teach myself because I'm very spontaneous. I can be organized in certain ways, but I'm just not “super plan-y” and I don't analyze everything that I do, so sometimes I just don't really know an answer to that. I'm prefacing this episode with this before I get into the honest things because I feel like I fell backwards into this life where a lot of things that I do and say are analyzed. And sometimes it feels like I'm living in a fishbowl. It's not that there's fame or anything. I'm just a blogger with a small platform. But there are some people looking and it feels weird and it's vulnerable and difficult. And I know how mean people can be. And I don't want to let anyone down. I think that's a big issue for me. Just being a stereotype oldest child, I don't want to let anyone down, and I feel the need to carry the load. And so, I do. And I kind of try to hold it all together. But honestly, guys, sometimes I just don't know. I'm here to serve the person that I can serve and I can't serve somebody who I rub the wrong way. I can't serve somebody who doesn't believe in some of the core things I talk about and that's okay. So things like just being myself. The way that I parent my kids. And I love Jesus, but I cuss a little. Things like that. I can't care anymore. And just letting that guard down and being who I am has been so huge for me. And I hope it's shown up. I really do hope it's shown up lately. I've just been feeling a lot more comfortable and it's making me more authentic. And I think it's connecting me more to you guys. Those of you who are my people and are the ones that I'm supposed to serve. I'm not about that. I've never been about that. But it's almost just been this like automatic subconscious thing that I've built up like, “I need to have an answer to this.” I have just kind of worked it down and broken that down. I'm going to share a few things that I noticed came up a lot when I was just kind of working through this, praying about it, journaling through it, and asking myself, “What are the things that I feel like I need to uphold that are just total B.S. and not me at all?” And so, I thought, after I made that list, that it would be a good episode and just kind of challenge me to step out even more and share with you guys with those things are. So that's kind of the basis of this episode. That's where it came from and it's just something that I'm working through. And The Purpose Show is about a lot of things. It's about motherhood and life, trying to find balance and living an abundant, full, good, happy life, right where you're at. Not waiting for your kids to get older and not waiting for your money to increase. Not waiting for everything to be perfect, but enjoying it right now. And so much goes into that, that it's hard to kind of put my finger on what is The Purpose Show? And so, The Purpose Show is about what I'm going through. What I'm learning. What you guys are asking and me sharing what I know with you and just connecting with you. And so, I think The Purpose Show will ebb and flow, like the rest of my blog and my business has, as I've evolved as a person, as we all do. I think that this is just kind of a step in a new direction. Just vulnerability (and pronouncing words correctly) and just getting real and sharing this is who I am. It's easy to accidentally misunderstand somebody and make them up to this perfect being with all the beautiful photos. I'm sharing helpful tips and tricks and I think that can easily be misconstrued as perfection and that's not what I want at all. And so, if there's any chance that I have accidentally done that, I hope this episode just breaks it down and makes me real. I'm here with you. My kids are young. I'm still figuring this out. I'm just always reworking things and trying to be the best version of myself so that I can help you guys and connect with you. I don't want to just teach you and be above you and I'm perfect. I don't want that. So, that's kinda where I'm at and let's dive in to 5 super honest things I'm afraid to share with you. So, the first thing is that motherhood is hard. It's dang hard. Life is messy. It isn't perfect and I never said it was for me. But that's the standard I feel like I'm being held up to a lot of the time because of what I do, what I talk about, and the picture that social media and the internet puts in front of you guys, no matter what. I love beautiful photos but I feel like in my captions I'm pretty real and pretty honest. I share a lot of my flaws, mistakes and things that I'm learning. But even with that I feel like I kind of get put on a pedestal. And I do it. I do it with influencers that I admire for sure. But I feel like what I want to say to you is I change my mind all the time. I'm a normal human being and what works for me in one season doesn't work as well in the next. For example, waking up at 5:00 a.m. I haven't been doing that for a couple months. I did that for maybe two years solid. And at one point (I've shared this before) I woke up at 4:00 a.m. when I was starting my business while Brian still worked at his job. So, I've changed a lot. Now, I've been waking up a little bit later, maybe around 6:45-7:00 a.m. and just letting my body wake me up. Having a different type of productive morning because my kids are older and they don't wake up at 5:00 a.m. and need me. I don't have to quick, jump up and be ahead of them. I can send them down for breakfast and have my daughter pour cereal. They do the dishes and they start their busy work for school on their own without me. I can come down and get my coffee, check that everyone's good and then come upstairs, shut my door and have my quiet morning time without it being dark outside still. And it's funny because people talk to me like I never change anything. Like I'm a robot who always does the same thing that I shared before and never, ever changes. It's a really weird pressure. And then when I openly share, “Oh actually I don't do that in this season, but when I did, here's how I handled it,” people act like I just shredded a Bible or something. Like I shocked and offended them and I have betrayed their trust. It's funny and also really terrible. It's kind of an awful pressure to feel. But what I've realized is that I don't need to live by that pressure. That pressure doesn’t need to be on me. If somebody else is putting that on me, that's their issue, not mine. It's okay to change and to go with the ebb and flow of your life. We're made for seasons. God created the seasons on the earth and there are so symbolic of us as human beings. We're created for seasons. We need seasons. We’re made to not stay in the same thing for very long. Things change. Kids grow up. Schedules shifts. You get busy and then you get less busy. I talk about that all the time too. We just are leaving a really calm, fun season of no calendar commitments, lots of fun day trips and travel, and kind of coming into, okay, we've got baseball, softball, piano lessons, Spanish class. Homeschooling is back on. Theater class on Thursday nights. We're doing all these things. It's busy and full and very regimented. So, you know, maybe as we head into this season, I might start to wake up a little bit earlier again. I don't know. But I haven't been in that season. And if I still was, if I was forcing myself to be a robot and just keep waking up super, super early because I said I would and everyone expects me to – man, what a joyless life. And in a weird way I’d actually be being really hypocritical and not living my abundant life in this specific season because I feel like I have to be upheld to what I once said worked for me. So, I feel like it's a weird situation. It's definitely specific to what I do in my job, but it's so funny. Anytime I say like, “Oh, I don't really do that anymore,” people just act shocked and it's just put a weird pressure on me. And so, one of the things that I'm super honest with you about today is that I'm not perfect. Motherhood is hard. Things ebb and flow. I'm always changing and always looking for what's going to work next and I feel like it's like a weird thing that I'm not allowed to do that. If you feel like your house is just always out of control, it's totally crazy and you'd love to take some of the advice I give here on The Purpose Show, and my blog, but you just kind of feel like you're so frozen and overwhelmed, you can't even. I created a new challenge. It's called the 10:10 challenge. It's super, super simplified. It's email based so you can open the emails and take it at your own pace. And even the emails are a few sentences. It's really, really simplified. This is designed for the really overwhelmed mom who wants to kickstart her house and build some momentum, because as I always talk about - momentum is where it's at to making progress, actually taking action, and having that longevity of action that's going to change your life in the long run. So the 10:10 challenge. This whole thing is 10 minutes a day every day for 10 days. To take this challenge, (it's totally free by the way) go to alliecasazza.com/1010. The second thing is I want to share that what I do is friggin’ exhausting and I struggle with feeling guilty that I'm exhausted by it because it's a huge blessing. So, things like being an introvert and hosting a podcast. Hosting my podcast entails coming up with content ideas, outlining what I'm going to say, thinking of, okay, I want to make sure I don't miss this point, and really focusing - even meditating - on a topic to make sure that I don't leave anything out that could come out of me that would serve you really well for this particular topic. It involves talking to celebrity guests, people that I admire and deeply look up to. That's a lot of stress and pressure. That involves reading their books. Researching them. Getting to know them. Making sure I've got down how many kids they have. If they're married, who they're married to. What are some of their likes and dislikes? What's a way that I can connect with them when they first get on the call and we're recording? Prepping for those interviews is completely nerve wracking and just don't even count the anxiety leading up to that interview. I think about it every day. It's a lot of pressure. My job also involves live streaming and being very “on” and vulnerable. That's my calling. I know it's my calling. I know it's what I'm supposed to be, but it takes a lot out of me. Sometimes I feel guilty, based on some of the looks and responses I've gotten expressing how exhausting my job is. I feel guilty sometimes that I'm exhausted by it because I'm really blessed. I get to do what I love. I get to help other moms. I get to sit behind my desk and write from my passion, about my passion. I get to talk to authors that everybody looks up to. And it's all good. But it is exhausting. I work so hard. I'm constantly coming from a place of servitude for you guys because I love you so crazy much. You would be weirded out by how much I love you. You specifically listening. I adore you and I am here to serve you. That's why I create my courses. That's why I do this podcast. That's why I go out on a ledge and make myself a nervous wreck to interview these amazing guests to bring on the show for you guys. I adore you and that is freaking exhausting. I overheard that and I'll never forget it. It just wrecked me. It really, really deeply hurt my feelings because that's one of my biggest fears, that I would come off as annoying, ungrateful, I don't know, unrelatable I guess. These points that I'm going through, they really don't have any wrap up. I'm just sharing. There's no end-all, be-all point to this episode. Just complete vulnerability and sharing with you that I'm a human being and these things happen. They’re big fears of mine. So that is the second thing, that what I do is exhausting and I struggle with feeling guilty that I'm exhausted by such a huge blessing that I get to do for you guys. It's one of those things like runners in the marathon. They bleed. They hurt their legs. They bust their knees. They wreck their bodies for it. They don't have to do it, but they do it because they love it and the pain is part of the thrill and the passion. That's how I feel about what I do. I'm not going to ever stop because of these things, because it's exhausting, because I get anxious before I talk to a guest, because I have to be “on” all the time and I'm an introvert. I know that I am right where God's called me to be and I am fulfilling my passion and my purpose and I get to do that and I get to get paid for that. That's incredible. I believe that's abundant life. That's where the sweet spot is for all of us. But I get exhausted from that and that's okay. The next thing that I want to share with you is I don't want to do a lot of things and I feel guilty about not wanting to do those things. Do you see how these things, a lot of them are centering around guilt? I think we all struggle with guilt in some way and this is one way where it's just really been hitting me hard lately. What I mean by that is I don't want to do a lot of things. Playing with my kids, cooking for my family, homeschooling my kids. These are all things that I do that I talk about all the time and I don't really want to do any of those things. I don't really like cooking. I have ways that I can create an atmosphere that I enjoy more, like putting some music on, lighting a candle, cooking a meal that’s not going to take me more than 30-40 minutes, maybe having a glass of wine while I cook, but I really don't like cooking. I don't either, but I want more for them to have memories of me being with them, so I do it. I don't really love homeschooling my kids. I shared this on Instagram recently. I really don't like homeschooling. I really don't. But I love the benefits of the lifestyle of homeschooling. The flexibility. The freedom. The time that I get to pour into my kids. It's seven hours more per weekday that they're with me instead of away from me, and I think that's really huge for my kids specifically. So, there's a lot of things that I talk about that I do that I don't want to do. I have no passion for sitting on the floor and building Legos, that's for sure. And sometimes I feel guilty about that, but I'm throwing that out and calling it total B.S. Nobody wants to play with their kids all the time, but it's something that I work towards, that I do and that I talk about because I think it's important, and I want the results of that more than I want the thing. So, anyone who's ever heard me talking about playing with your kids or saying, “let's play” instead of “go play,” I'm talking about having a life that allows that for you, and doing it every once in a while because you love your kids and you want them to have memories of you being present with them, not constantly cleaning and maintaining a life that you didn't get to live. I don't want to play with my kids, so don't feel guilty if that's you too. The next thing is I want you to know and just be super honest, that I don't do it all. I am such a huge believer in delegating you guys. I think because I help other moms simplify their lives and streamline their roles so that they can do it all easier and enjoy the process more, I think because of that, everyone assumes that I do everything in my own life myself and I don't. I've shared about this before, but I have a housekeeping team that comes every week and I would gladly sign up for three times a week if I could. I order predetermined meals from a food service and then I cook from what they send me and half the time Brian's the one that cooks them. I have a personal assistant who makes returns and runs basic errands for me. They even went to the DMV for me the other day and I signed a form that gave them the right to make decisions about my vehicle for me. I have a team of people, there's like 9 or 10 of them now, that are full time contractors who help me run the business. I don't do it all. So, if you've been believing that… I've haven't been afraid to tell you that one. I feel like I'm pretty open about it, but I always want to take the opportunity to say again I do not do it all. I believe in delegating. If I did it all, I wouldn't be able to be here talking with you. There is absolutely no way that I could homeschool my kids, run this business, keep a perfectly clean house, be caught up on the laundry, run all my errands, make sure my target list is always checked off, make sure that I've got all the cleaning supplies that I need, make sure that the groceries are shopped for and everything is stocked. Make sure my husband is happy and we're good. Our relationship is good. That I could show up and be present for our once a week date nights. There is no freaking way. If that is your life and you're trying to do at all, please stop. Find something to delegate. Just something. Get a VA, get a personal assistant. You don't have to work to have one. Hire a college kid and have them run your errands for you. Do something. I don't do it all. The last thing that I want to share with you is that I'm a businesswoman and I love that side of what I do. I don't want to talk about mom stuff all the time. I am so passionate about my mission to help other moms lighten their load, but I am also super passionate about entrepreneurship and running a business. I would rather talk about marketing than motherhood most of the time. That's something that's been really heavy on me lately, and just feeling like the stress and guilt of, man, what is this gonna look like? How am I going to transition this? I feel less joy when I'm in my business talking about motherhood things. How would I bring in entrepreneurship and what I do? I don't know how it's gonna shake out you guys, but that's just one of those things that I always feel weird about. It’s starting to come up in me as I evolve as a person. Again, just like waking up early in some seasons and not in others, I'm evolving as a person. And the fact that I would mostly like to talk about marketing, branding, blogging and creating courses, creating a life that you love and crazy amazing revenue in a business that you could start from home with almost no overhead. That is amazing to me. That is something that I am very passionate about and I really never get to talk about it. I do some like private coaching with friends just because I love it, for free, which usually when you're doing something like that, it means that you should start doing that as a business and charge for it. We'll see what happens there, but that's just one of those little secrets about me that I always feel weird about and I just felt like I wanted to share it. So, there you have it. 5 super honest things that I'm afraid to share with you. I hope that this episode was just fun for you to hear. I hope it humanized me a lot because I'm pretty sick and tired of not feeling that that's how you guys see me. I love you guys and I want to connect with you for real. Cheers. I'm holding my Starbucks coffee up right now because my coffee machine broke this morning and I've got Starbucks. Cheers to a lot more connectivity, a lot more honesty, a lot more fun social media posts, fun podcast episodes that are still super, super helpful, but help you see me as human. This episode is really light and fun! I wanted to share with you some of the stories and moments from the early part of my days as a blogger that you don’t know. From starting as a family blog to learning how to make money without ads and sponsorships, there have been some really great (and funny!) moments along the journey. I am letting you in on some of the behind-the-scenes, funny, interesting, and inspiring stories. 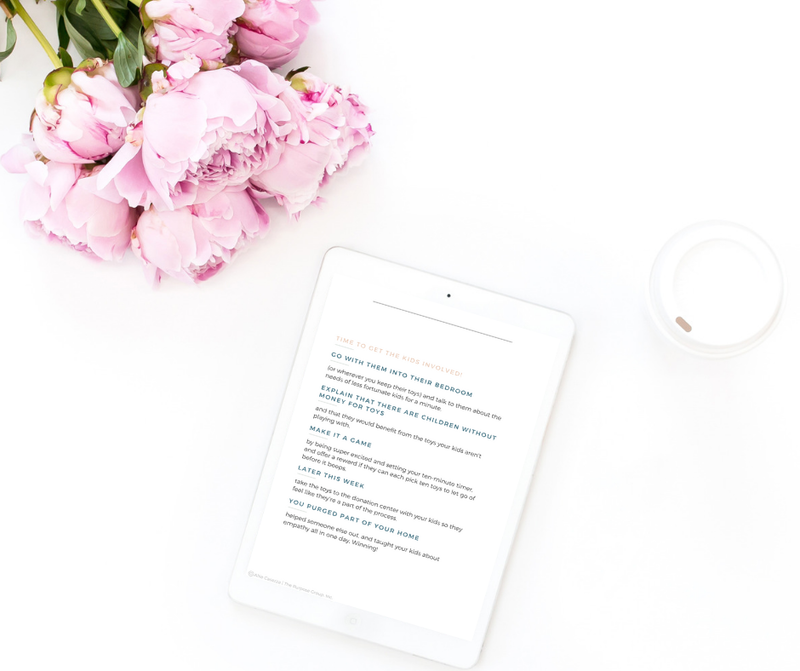 I look back and see how I evolved as a writer, as a blogger, and as a person, and never in a million years did I think my blog would bring so much light to the topic of minimalism and simple living. But here we are now, and I love every moment of it! How she learned to make money from her blog without using ads or sponsorships. 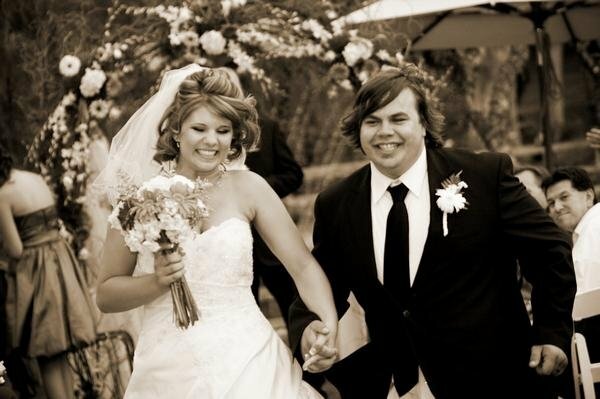 Her transition from starting as an inspiring blog to a more tactile, actionable one. What brought her to hire her first assistant and how that has helped her business grow. Hey friends! Oh my gosh, I am so looking forward to this episode. It’s gonna be so fun! I had this idea when I was getting questions doing a really fun Instagram Live Q &A. I just can’t wait! I put a list together of funny things and interesting things about the early days of my blogging journey. I came up with 13 things you probably didn't know about the early days of my blog. This will be super fun! Okay. The first thing is it actually started in 2011 as a family newsletter. It was called The Casazza Family Blog. It looked terrible. It had a really generic background on it of blue sky and grass. It was just meant to keep family up-to-date on our life. I had just had Leland and I felt like things were just getting really crazy. I've got two babies now. I'm noticing that I'm busier than I used to be. I think it would be a good writing outlet (because I've always been a writer) to have a place to update everybody and have a family newsletter instead of sending out emails. So, that's actually how this whole thing started, which I think is hilarious. I remember writing the blog posts about when Leland was born, having a picture of his little feet in black and white, writing about the birth and updating everyone on how he was doing. And side note, also fun fact. We actually used to spell Leland's name with two “e's” and then we changed it after he was a year old, to just one “e.” Who does that? I remember it was like “Leeland Cade’s Birth.” And it's just so funny and so ridiculous. It was just so funny. But, that's how it started. A second fun fact is that after that I started really get the “blogging bug.” I've always been a writer and I found that I was able to write somewhere. It was a really great outlet for me. After the kids would go to bed, I started writing about my thoughts and feelings, what I was learning about marriage and motherhood and all these different things. And The Casazza Family Blog just felt, I don’t know, it didn't feel like it fit anymore, especially because in my mind it was a newsletter for family members. And so, I came up with a name, The Purposeful Housewife, and it turned into that later. A third fun fact is that it was hosted on Blogspot. I don't know if you guys remember Blogspot. It was owned by Google. I don't even know if it still exists or if people are still using it, but it was the place to be back in the day. My website was thepurposefulhousewife.blogspot.com because I couldn't for the life of me figure out how to get my own URL. I didn't know anything. So, it was hosted on Blogspot. It was super beta and it's so funny. I used the generic backgrounds and themes and a barely readable font. And I thought I was so amazing and so cool. I was blogging all of these things that I was learning about and I remember that time as a time where I was so in love with blogging. It was a fun time, but I did not realize how little I knew. Next fact is I once spent two weeks trying to figure out how to get my own URL and that is basically “Blogging 101.” It is so incredibly straightforward. It's hilarious that I spent weeks trying to figure that out. And I remember I didn't even end up figuring it out. It stayed the .blogspot.com for a long time because I couldn't figure it out. Next thing is it used to have music on it. So, you would go to my blog and it's an instrumental version of, I don't know, some One Republic, like Happy Song, used to play and you would be listening to music while you read about what I was learning as a wife that month. About the day that I figured out that if I was feeling really down and stuck, that if I just packed the kids up, wore my baby and went to the park, it would turn into a really good day. And I wrote about how I liked being outside. How I found that if we would just get out of the house, the day would get better. All of these super basic things that I was learning as a new mom. You would be listening to music, and it was just hilarious. The sixth thing is that my blog actually used to read kind of like a devotional. It wasn't very practical. It was very deep and really devotional-based. And now it's way more tactical, practical tips, action-oriented things. I have thought about this a lot. Why did it change? Why was it so different back then? I realize it changed because that's just where my writing naturally took me as time went on. When you do something over and over and over again, when you're writing all these different times week after week for years, you change. You learn things. You adapt and you become a certain type of writer. That's naturally how I evolved as a writer, as a blogger, as a person. I've had so many times in my life where I'll be like, “You know what? I'm just really not happy with the way things are going right now. I'm going to change my entire life.” And I will do it. I'm passionate about taking action in my own life and helping other people actually do something about their problems and take action. So, I think as I matured and got deeper into motherhood and deeper into writing, this is what I evolved into. It is really interesting to think about things like that. Number seven is the pictures on my blog were actually stolen and illegal because that's how clueless I was. So, you're not allowed to just Google “pictures of a sad woman” and then save the image to your computer and use it in a blog post. That's illegal. You don't have the rights to do that. You have to get the photos from a location that says “it's okay to take our photos and use them on your website,” where the copyrights allow for that. And I did not know about that. So, for a long, long time the pictures on my tiny little blog were illegal and nobody really noticed because nobody was watching me. But I do remember one day I had a blog post that was a really reflective blog post about an older couple that I had a conversation with. It was about marriage and I had googled “picture of an old couple” and there was a really beautiful picture of an old man kissing the forehead of his elderly wife. It was really sweet and I used the photo on that blog post and that blog post gained some traction. It was actually my first blog post ever that went somewhere in the internet. It didn't go viral or anything, but it got to more than five people and that was a big deal for me. It got to hundreds of people and people were passing it around. They really liked it. And I remember getting an email in my inbox that day that was like, “Hey, you need to take this photo down. You don't have the rights to use it. It's mine.” And I freaked out! So, fact number seven, my pictures used to be illegally stolen because that's how clueless I was. I'm better now. I'm used to it. It happens every week and I'm nice. I love meeting you guys and I'll hug you, take a picture with you and it's super fun. But oh my gosh, I freaked out so bad. It sent me careening into an introvert freak-out. So that was another fun fact. The next one is one time I made $30 from having Google Adspend on my blog, which is like super old and ghetto. I was really excited. I took my money and I went to Barnes and Noble to buy a book about switching to Wordpress and not using Blogspot anymore because that was kind of like “more legit” than Blogspot. And I wanted to be more legit, really bad. So, I went and got that book. I studied that book. It was thicker than my dining room table. It was everything about Wordpress. I studied that book like I was studying for the Bar Exam. I, like, cram-session studied that book. I learned everything about Wordpress. Then I made the switch to Wordpress and I hated it more than anything. It lasted less than a month. It was a huge waste of time. That's just one of those things that happened as a blogger. Next fun fact. I actually taught myself everything. I even taught myself how to code, which people go to school for years for that and get paid upwards of $200,000 a year to know how to do that. And I know how to do that. I taught myself how to do that because this was the days before Squarespace. Squarespace will code for you. So, I actually use Squarespace now and if you want to start a blog go with Squarespace. It's the best. But yeah, I taught myself how to do everything. I know everything about Pinterest. Growing your blog through Pinterest. I know everything about coding a website. I know how to edit photos and do photography for a blog. I know how to grow on any social media platform. I learned everything because I was dedicated to growing and I couldn't afford to pay anybody. Okay. Number 12. After that blogging event that I just mentioned, I came across an article that had featured some of the bloggers who were there and I learned that they had brought their husbands home from their jobs with the money that they made from their blogs. But it was because they put ads on their websites, they had sponsored posts, affiliate links and all that, and I really didn't want to do that. So, I decided then and there that day, that I was not going to stay at 500 followers. I was going to celebrate tens of thousands one day and I, too, was going to figure out a way to bring my husband home from my blog, but I was going to find a way to do it without selling out with ads and sponsorships because I felt and I still feel, (that's why I don't have paid sponsors for the podcast) that it dims the quality of my work, my website, and my content. Back then this was impossible. It didn't exist. If you wanted to make money blogging, you had to have ads and banners on your site. You had to do affiliate links and make little tiny bits of money in huge ways and that didn't exist. There was no other way. But I was determined and I made a goal to find a way. Later my courses were born. My site now brings in seven figures. Brian and I run the company from home together. Dreams can happen, so keep going. Number 13. The last fun thing that I'm going to share with you about the early days of my blog journey is the first person that I ever hired was Kena. She is my assistant. I was curled up on the floor in my room after going viral. I had over 2000 emails in my inbox and some of them were really mean and abrasive and I had never dealt with that before. I was so freaked out. I was introverting hard. I didn't know what to do or how to get to all of them. My Instagram was blowing up. I was so freaked out and overwhelmed. I posted in a Facebook group for entrepreneurs. I was basically rocking back and forth in the fetal position and just posted like, “Oh my gosh, help!” And Kena was one of the many people who reached out to me. Something just jumped out at me about her. I called her and I hired her on the spot. She got through all my emails in like two days. She promised me she would never not let an email go more than 48 hours (two business days) without answering it. And more than two years later, she still handles all my emails for me. She's the best customer service representative of all time. She responds to the rudest people so kindly. She is one of my biggest supporters. She’s seen me through TV appearances, virality, public humiliations, introvert freak-outs, major business triumphs, goal failing and goal reaching of all kinds. She was my first hire and I just adore her. So, if you’re ever sending me and email, say “hi” to Kena for me. And that is 13 things you probably didn't know about the early days of my blog. It's so funny to see how things can turn out from starting a family newsletter in 2011. I hope that this was fun for you guys to hear.